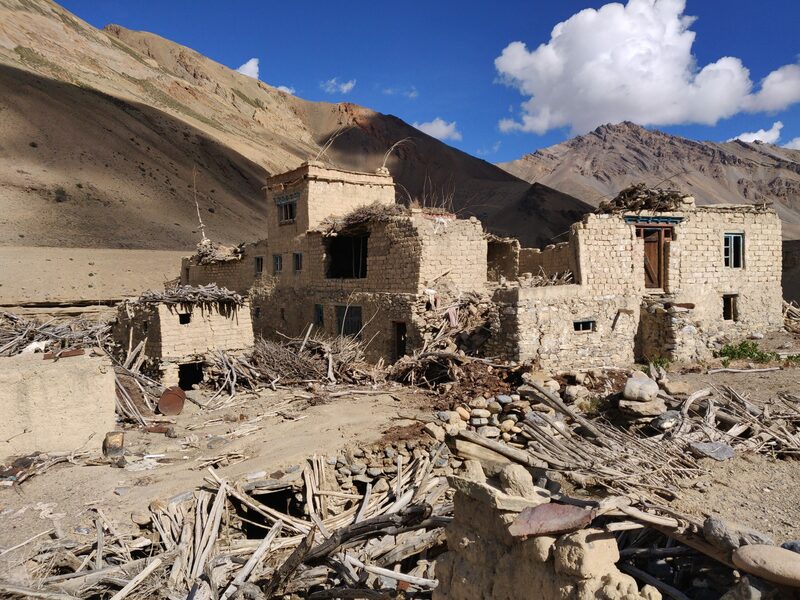 Located along the Tsarap river in one of the most remote parts of Zanskar, Ladakh one can find several small hamlets which appeared to be once vibrant settlements but have since recent years turned into ghost towns with people leaving everything behind. 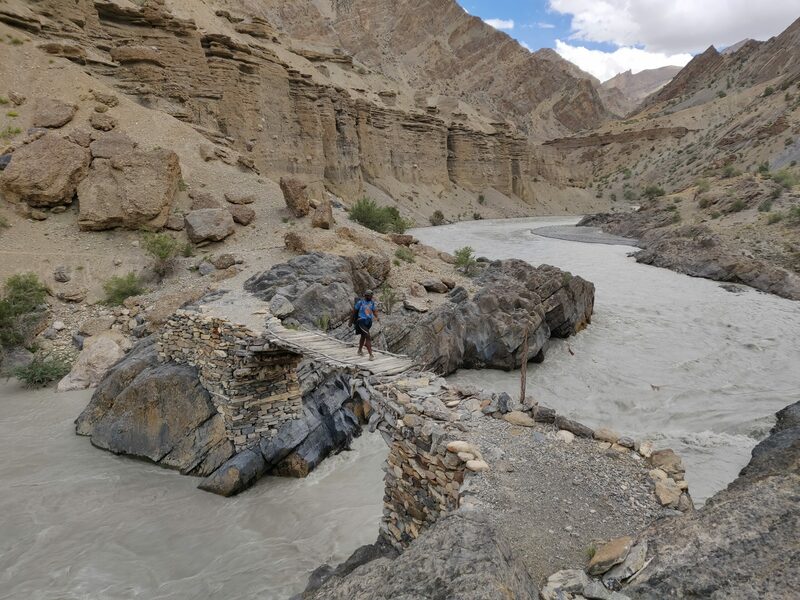 Did climate change dry up the glacial streams required for cultivation or did people simply leave the hardship of living in these remote arid areas for the comfort of cities? 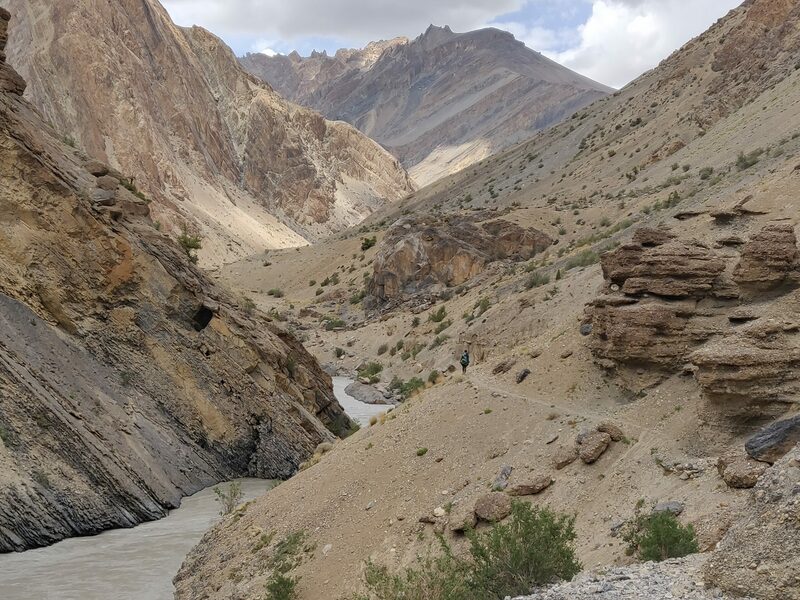 The Tsarap river originates from the Baralacha La and flows North along the Manali-Leh highway until it diverts towards Zanskar, Ladakh in a remote valley till it joins the main Zanskar valley near Cha and Purne. 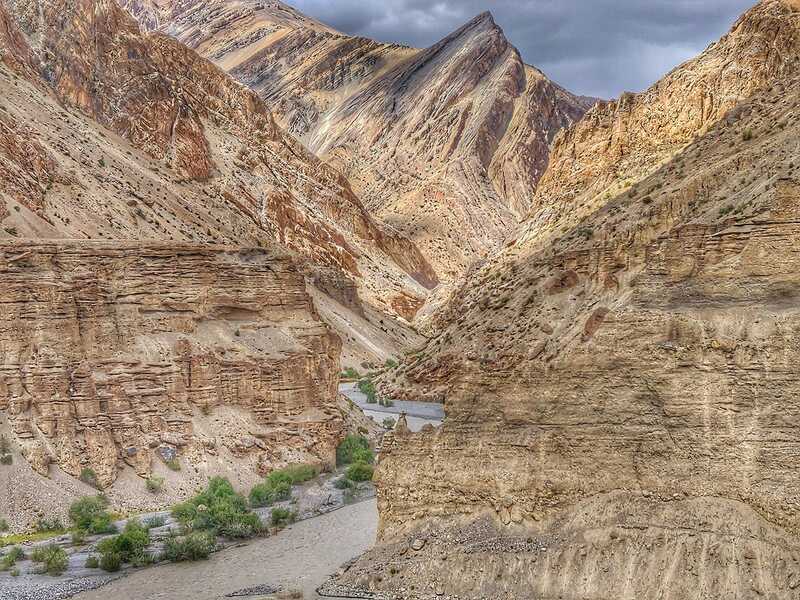 There is a regularly used hiking trail along the Tsarap from Gata Loops to Phugtal gompa. 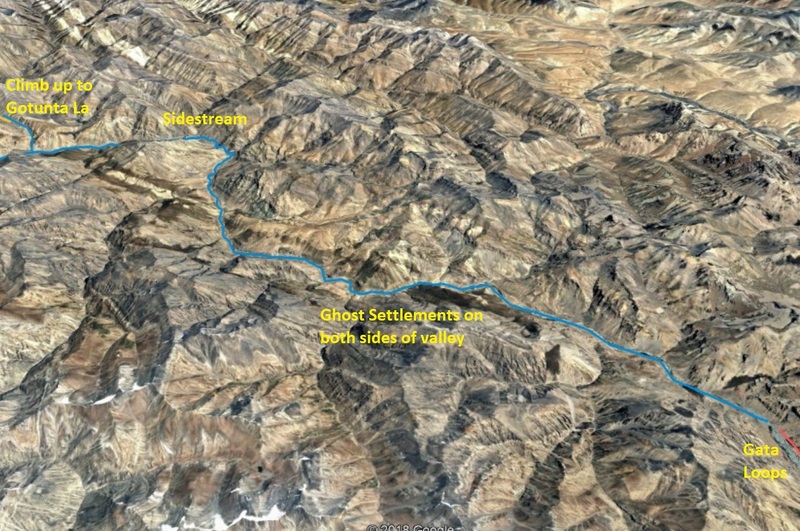 At regular distances you can find ancient settlements built from rocks and wood which have all been deserted. 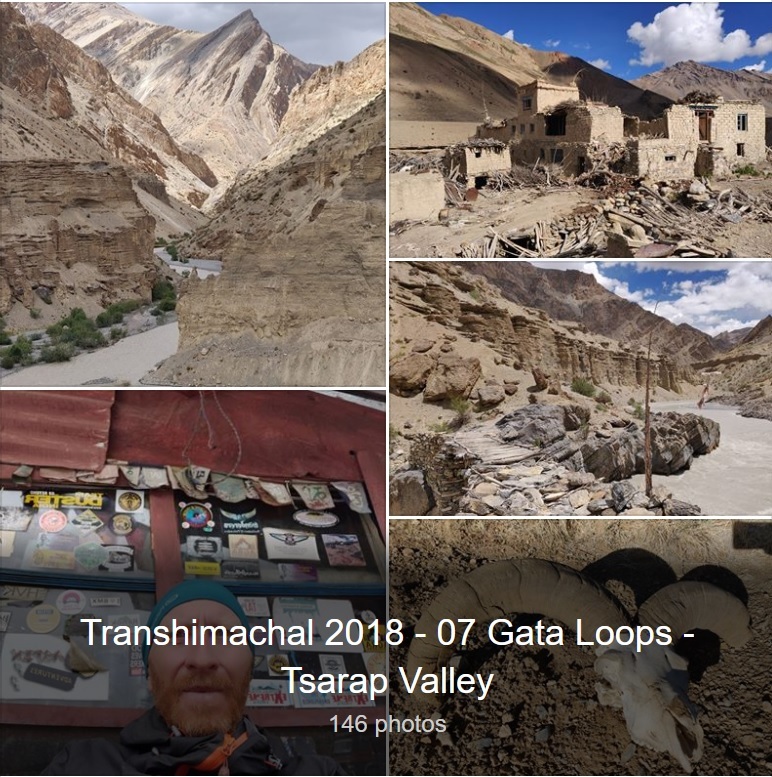 The Tsarap river valley has a very slight gradient as it flows from Gata Loops (4150m) till the base of the Gotunta La (3900m). The trail follows the right side of the river (upstream) except for the middle section where it climbs up 200-300m above the river. 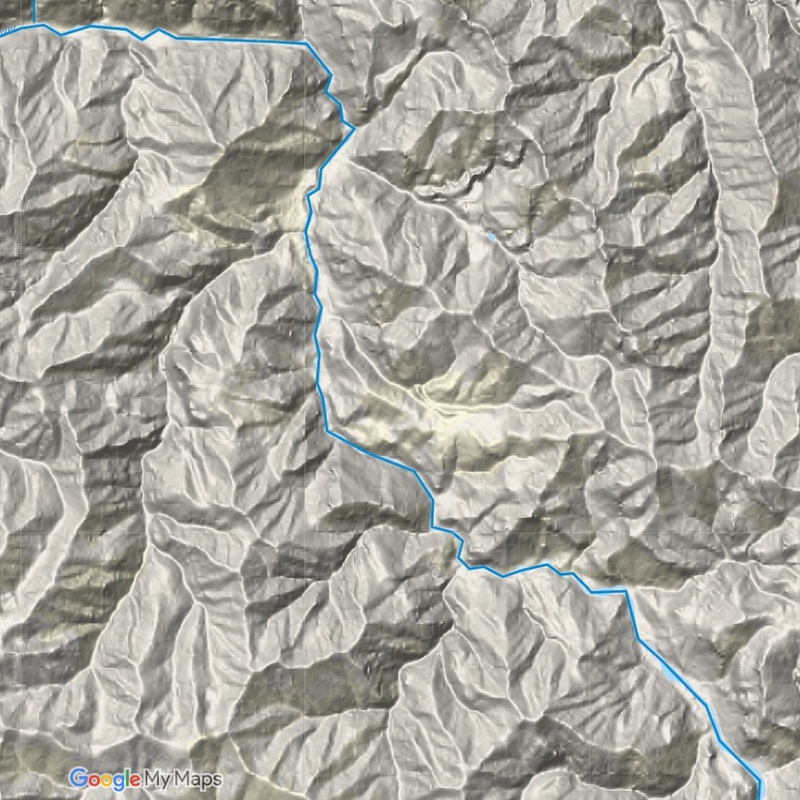 One dangerous part is the crossing of a fairly big side-stream flowing from North which can be crossed near the joining point with the main Tsarap valley. Also a new bridge has been constructed a few hundred meters upstream.